Live authentically in historic Mantua, a UNESCO World Heritage Site filled with sublime art and architecture, largely untouched by the modern world. The birthplace of Virgil and the seat of the Gonzaga family for 400 years, the ancient city of Mantua is the ideal setting to inspire creative, intellectual and personal development. Part of Mantua’s charm is that it is off the normal tourist track and thus can be experienced as a living, vibrant social culture with continuous ties to its past. Refined Mantua became the Italian Capital of Culture in 2016, and was awarded the European Capital of Gastronomy. Our program will be based in Palazzo Castiglione, where you can feel first hand how the Renaissance was born, an age which continues to intrigue and maintain its hold on our imaginations. During our program and the optional weekend excursions, attend the renowned Mantua Chamber Music Festival, the Verona Opera Festival and the Venice Biennale including a tour of the Palladian residences along the Brenta River. Cruise Lake Garda & Iseo, and enjoy guided tours of UNESCO towns such as Verona, Modena, Bergamo and Vicenza. Experience how the past and the present intersect in Italy’s unrivaled culture of design and engineering as we visit the Ferrari factory and museum in Maranello. Partake in multi-session courses on Italian language, history and film. Relish the delicious regional cuisine and learn cooking from a local chef — all washed down with wines from Franciacorta, Lombardy and the Veneto. Space is limited and this delightful program is sure to sell fast. Call (860) 531-8220 to hold your space or RSVP using the form below. 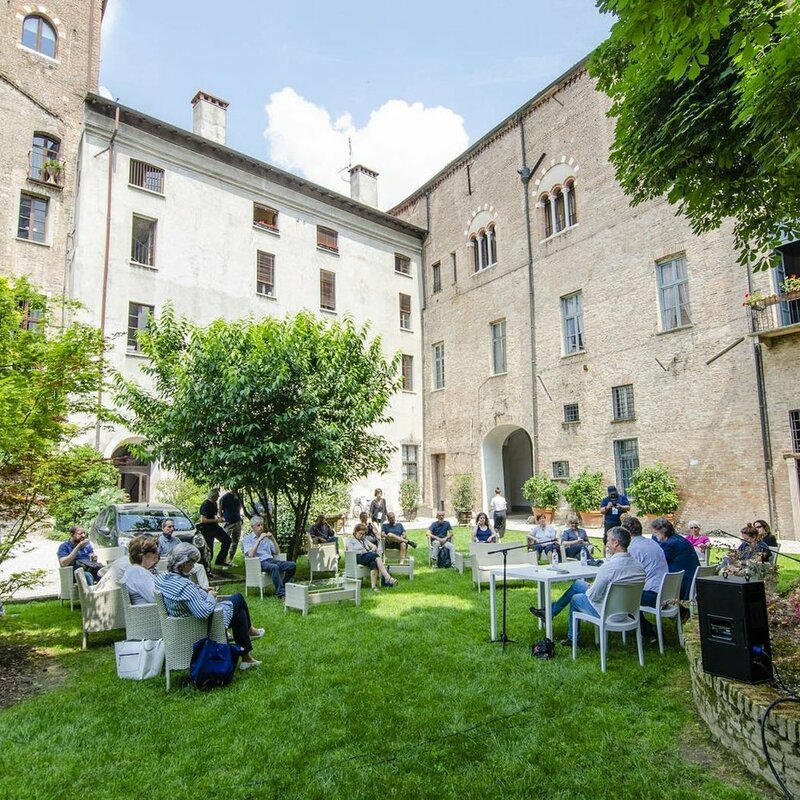 Our educational center will be housed in the elegant 13th-century Palazzo Castiglione, centrally located in the heart of Mantua across from the Palazzo Ducale. There we will also enjoy convivial group meals in its enchanting private garden. Engage in Italian language instruction with classes tailored to individual levels. Discover Mantua’s past while touring the town’s treasures in a multi-session course, entitled "Historic Sites & Museums of Mantua," complete with lectures, walking tours, museum visits and a river cruise. Go for a hike, join the book club or try your hand at travel writing with Tim Jepson, author of over a dozen books on Italy and the former travel editor of the London Daily Telegraph. Indulge in regional food & wine classes that will range from Italian cooking lessons to visiting vineyards, rice farms and ateliers producing Parmesan cheese and balsamic vinegar. Take day trips to Lake Garda, Modena and Vicenza. Visit lesser known villages such as Maranello to visit the Ferrari museum and factory and the riverside village of Valeggio to enjoy unique tortellini making. During optional weekend excursions, attend world-renowned festivals such as Mantua Chamber Music Festival, the Arena of Verona Opera Festival and the Venice Biennale. Cruise Lake Iseo, explore the sparkling wine region of Franciacorta and the UNESCO village of Bergamo. Cruise along the Brenta to see Palladio’s Villas. The Palazzo has been family owned for centuries, and your charming host, Guido Castiglione, is a direct descendant of Baldassare Castiglione, a prominent Renaissance courtier, diplomat and author. Guest rooms are furnished with a blend of refined antiques and modern amenities. The common areas are beautifully embellished with original frescos, paintings and tasteful furniture. In addition to food experiences such as educational cooking classes, wine tastings and factory tours, the trip includes fifteen gorgeous meals prepared by our private palazzo chef. Northern Italy is one of Europe's most beautiful, historic and culturally dynamic regions, filled with peerless cities such as Milan and Venice, the glorious landscapes of the Italian Lakes, Po valley and central Alps, and a medley of glorious smaller towns such as Bergamo, Vicenza, Modena, Verona—and our own home base, Mantua—whose art, architecture, gastronomy and contemporary elegance and intellectual life are the equal of any in Italy. Visit the vineyards of Franciacorta sparkling wine region. Take a scenic drive and boat ride to explore the beauty of Lake Iseo. Modena for Balsamic vinegar & Maranello for the Ferrari factory and museum. Explore architecture of the magnificent city of Verona and attend a private gala dinner at the Palazzo Verità Poeta. Admire beautiful palaces and duomos in the south-western part of central Verona. As you may have noticed, there are weekend trips to Venice, Bergamo, and Verona detailed in the calendar above. These excursions are optional additions to the main immersion trip. In order to learn more, simply click on a day of the calendar above or on the button below for a detailed summary of each excursion. To make a reservation, please RSVP by clicking the button below or emailing us at conleyandsilvers@gmail.com with the names of all guests, addresses and mobile phone numbers. Please also note the type of accommodations you prefer (see details below). Once we have received your RSVP, we will send you an email confirming if there is space available, and if so, we will hold a place for your party. We will hold your spaces for 7 business days and confirm your places once we have received your deposit. Once we have received your deposit, we will send you a confirmation and a copy of our standard Waiver and Release of Liability form for you to return. We will work with Yale Educational Travel for distributing the trip information. The remaining balance will be due by Feb 15th, 2019 and it can be paid via check. We would be thrilled if you’d like to join us! For more information, call Dana Conley at (860) 531-8220 or email at ConleyandSilvers@gmail.com. Please list first middle and last names as shown on your passport. Do you have another address where you would like to receive mail? If so, please list it here with any mailing insructions. Additional Guests? Please include their information here. Please review the terms at the bottom of the invitation webpage before you check the box below. Guests will have the option to live independently in centrally located furnished apartments or communally at Palazzo Castiglione. Each accommodation is unique and the size and amenities will vary. Please contact Yale Educational Travel for more specific information about the accommodations. 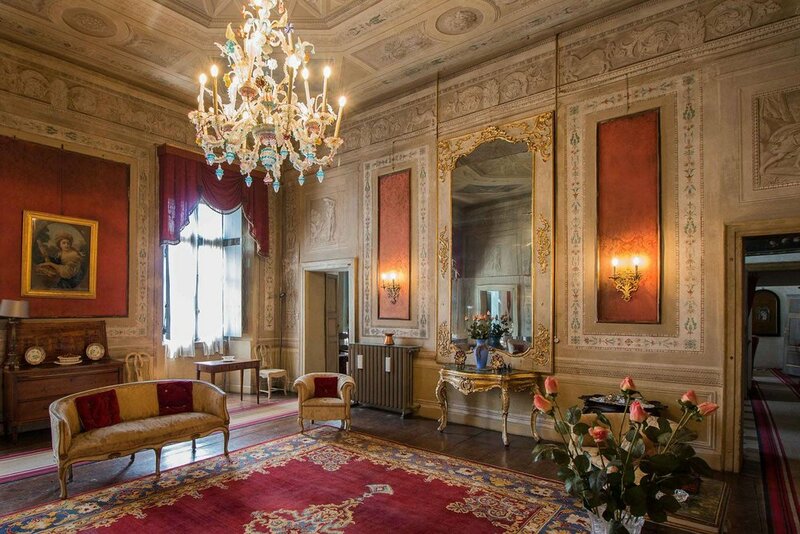 Palazzo Castiglione offers a wonderful opportunity for elegant living. All suites have private bathrooms and share access to a piano, communal kitchen with a refrigerator, stove and coffee and tea-making facilities. The Palazzo staff will provide a generous buffet breakfast each morning. The Palazzo comes equipped with an elevator, air conditioning and WiFi—all of which can seem slower in Italy. Daily maid service will be provided in the rooms, and affordable laundry services will also be available. Suites will vary in size, and all guests of our program will have access to the garden with terrace as well as the grand public spaces. Independent apartments offer guests an opportunity for independent living and will be centrally located within an easy walk of the educational center. Each apartment is furnished and equipped like a typical Mantua home with a kitchen, TV, WiFi etc. Two hours of weekly maid service is included and affordable laundry services will also be available. Most apartments are accessible by stairs. Apartments are priced with one bedroom, however this category is flexible, so upgrades are available for more bedrooms or even a villa! The apartments are family friendly and the flexibility of size makes them perfect for families or groups of friends traveling together. Guaranteed air-conditioning, cable TV and a clothes washer can be made available with a supplemental fee. Your Tour Director, Dana Conley, fell in love with international travel during college while studying art and politics at the Stanford-in-Florence program. She majored in International Relations and has traveled to over 50 countries in search of authentic adventures, beautiful meals and life-changing moments to share with her private and organizational clients. Via Conley & Silvers LLC, her goal is to provide guests with the highest level of customer service while creating unique and magical itineraries and events. Before co-founding Conley & Silvers with long-time Stanford mate Alison Silvers, Dana’s career spanned from being a researcher at the Pentagon and international security think tanks to art appraisal and directing a gallery. When Dana is not tour managing or on a reconnaissance mission, she divides her time between Paris, London and New York City where cheese consumption, museum going and urban biking reign as her favorite pastimes. Dana is pleased that her neice and nephew are currently undergrauate students at Yale. Also traveling from start to finish and presenting lectures along the way will be Professor Adam Tooze, one of the world’s leading European historians. He is also good fun, a tireless conversationalist, and is an experienced Yale travel study leader. Adam studied at Cambridge and the London School of Economics where he was also a professor; he also taught history at Yale University where he was also the co-director of the Jackson Institute. Adam now teaches history at Columbia University where he is Director of the European Institute, and is the author of four books including Crashed: How a Decade of Financial Crises Changed the World. Adam was recently named one of the top 100 Global Thinkers of the Decade by Foreign Policy magazine. Adam often appears on Bloomberg, MSNBC, CNN, BBC and The History Channel; and he frequently contributes to the New York Times, the Wall Street Journal and the The Financial Times. Adam’s passion is European history, and he looks forward to helping us place the sites we are visiting into historical, political, and cultural context. Madi Gandolfo, (’83 MA, ’84 MPhil. ), is the Vice President of the Yale Club of Italy. Madi was born in Rome but grew up in the great port city of Genoa, not far from the enchanting Cinque Terre. After studying in Genoa, Madi earned her doctorate at Yale. Both of Madi's daughters are also Yale graduates. Madi taught Italian at Yale, was the executive assistant to the Provost, the Tercentennial coordinator, and also served as the Associate Master of Pierson College. 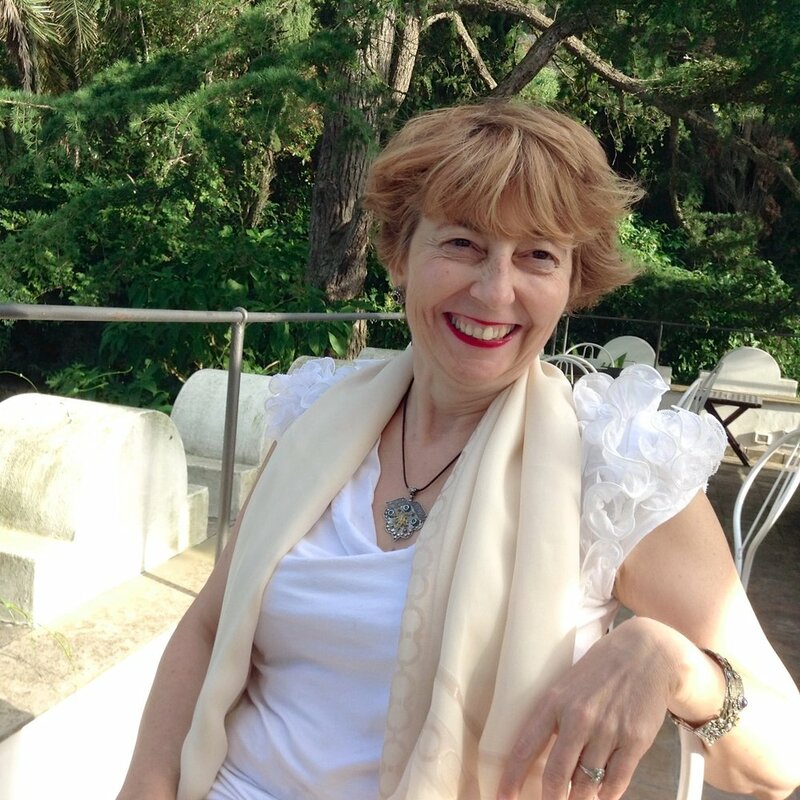 Her career has taken her from the Italian embassy in Ottawa to the American Academy in Rome and most recently to the secretary-generalship of an Italian petroleum distribution center. 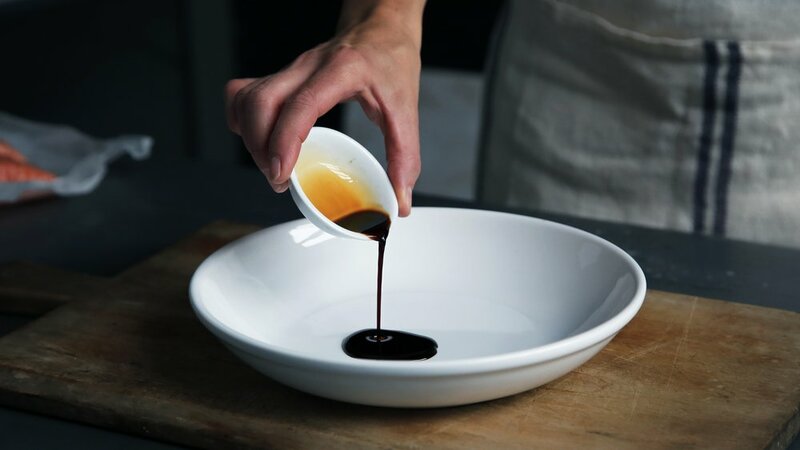 But Madi's real love and passion long has been and remains that “other” Italian oil, namely olive oil, celebrated since the days of ancient Rome. Madi is an enthusiast for all things Umbrian and above all the beautiful hilltop town of Amelia, where she has organized successful summer residential courses for Yale. She will be traveling with the group from start to finish and will be presenting lectures along the way. Tim Jepson is collaborating with Conley & Silvers will lead our book club, hiking/walking excursions, and travel writing workshop. He is a British, London-based writer, traveler and broadcaster. He began his traveling life at the age of 12, exploring the mountains of Britain and Ireland. After graduating from Oxford University with a BA in English Literature and Language, he lived and worked in Italy (in Rome, Umbria, Venice and Tuscany) for six years, writing for a variety of British newspapers and leading high-level expeditions in the country’s remotest corners. His experiences were recorded in a book, Wild Italy, published in the U. S. by the Sierra Club. He has since written more than 20 books, including several titles for National Geographic, and numerous articles for publications worldwide. He worked as a Travel Editor for London’s Daily Telegraph newspaper, and continues to travel extensively, with a lust for the farthest-flung destinations. Italy remains a passion, where he has been a National Geographic Cultural Expert for almost ten years. Recent journeys include hiking high-level trails in the Yukon and Pyrénees. He is currently working on the Atlas of British History for National Geographic. Descriptions of the four optional extensions & pricing will be sent automatically upon deposit or upon request. All accommodations, meals and excursions as specified in the itinerary • Full program of briefings, lectures and presentations • tailored language classes • Group arrival and departure transfers • Gratuities to porters, wait staff, guides and drivers • Entrance fees as noted in the itinerary • Welcome and farewell receptions • 5 group dinners • 10 group lunches • Local wine included during lunch and dinner as well as during Book Club • 12 coffee/tea/cookie receptions • Bottled water for town walks and on coaches. U.S. domestic and international airfare • Passport/visa expenses • Medical expenses and immunizations • Private airport transfers • Travel insurance • Optional excursions or deviations from the scheduled tour • Excess baggage charges • Meals not specified in the itinerary; dishes and beverages not part of the included meals; liquor or soft drinks • Laundry or dry cleaning • Telephone, fax, Internet and email charges outside of program • Room service • Other items of a personal nature. All cancellations must be made in writing to Conley & Silvers. To reserve a space on this tour, please mail a deposit of $1,500 per person payable to “Conley & Silvers LLC” along with the completed reservation form to: Conley & Silvers, 2700 Broadway, Apt. 7C, New York, NY 10025. Deposits may be charged to a credit card. Reservations are acknowledged in order of receipt. The initial $1500 deposit becomes non-refundable after 7 days of receipt by YET. Refunds on the initial deposit, less a cancellation fee of $300 per person, are made if YET is notified in writing within 7 days of receipt of the initial deposit. The remaining final payments will be collected by Conley & Silvers LLC via check. The deadline for final payment will be February 15, 2019. Registration on or after February 15, 2019 will require full payment. All final payments non-refundable. There are no refunds for unused meals, accommodations, or other trip features. U.S. domestic and international airfare is not included in the program rates. Air travel arrangements can be made through your travel agent or directly with your choice of airlines, as this will give you the maximum flexibility with the variety of available air travel options. All of the mentioned classes and activities in the main program are included in the price. A complete schedule has been planned, but you can choose to participate in as many or as few of the activities as you wish. Local activities will be spread out over Mantua, and guests will need to be able to walk for 15 minutes mostly on flat pavement, but sometimes on uneven surfaces such as cobblestones. Mantua is an ancient town, and some facilities are not accessible for people with limited mobility. To experience our weekly excursions, guests should be comfortable with standing in museums or walking up to two hours during moderately paced tours. The weather in the summer can reach into the upper 80’s but the nights are often cool. The rooms where we will hold lectures, classes, movies and meals have air conditioning (A/C), but not all buildings in Italy have A/C, including some museums and independant apartments. If you have any questions about your ability to participate fully in this itinerary, please call Conley & Silvers at (860) 531-8220.